Pipette is another great Portable Color Picker created by Stefan Trost Media. It enables you to get the colors from your screen, change or modify the select colors, or convert them from one color mode to another. 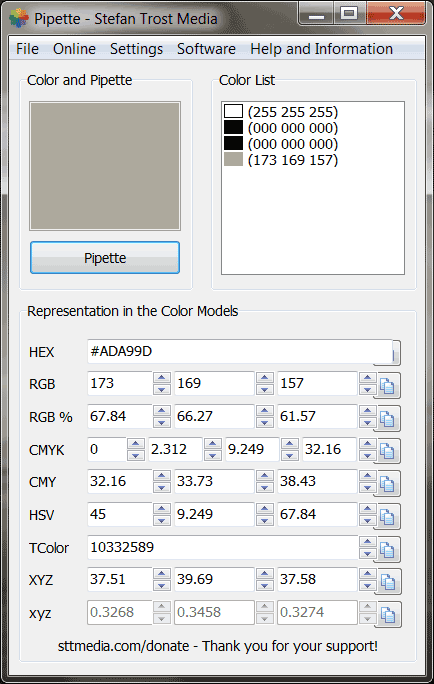 Pipette can display CMYK, RGB, XYZ, HEX, HSV, or TColor color modes. This tool can be stored and run entirely from a USB device.